Packaging: It comes in a pencil form, which needs to be sharpened at one end, and a smudger at the other. The caps are transparent which makes it easier to know which side to un-cap. But the kajal is so soft that there are 100% chances of the product being ruptured by the cap. Also, a sharpener comes free with the kajal pencil. I’ve not used it yet so can’t really comment on its efficacy. It is small and fuss free sharpener which can be easily stacked into the makeup drawers, also because of it’s smaller size it can be lost easily. Waterproof: True for lashline but not for waterline. Soft and creamy: Yes! Glides on like a dream. Super longwear: True for lash-line. Intense black finish: Again, true for lashline only. The verdict: Basically, pigmentation-wise, it is the best black kajal that you can ever find. But, it is meant only for lash-line and not for waterline. For me it barely stayed, on my waterline, for a couple of hours before disappearing on its own. My eyes are not so watery that can make a kajal disappear this fast! I didn’t use this as a kajal after that. I used it for a soft smokey eye look which I created using only this pencil. As a liner, it stays for a very long time! I think all of its claims stand true if it is used as a liner. The biggest con is its price! 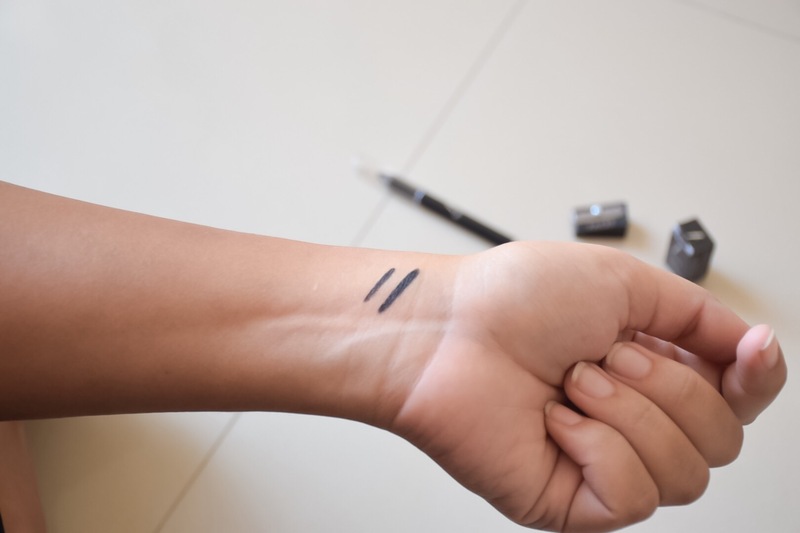 (I am still overcoming the shock I received while writing down the price as against the quantity of the product) and its super low performance as a kajal (when used on waterline). Have you used the Faces Ultime Pro Intense Gel Kajal? How are your feelings about it? Do share them in the comments below. ← The biggest ever update on Makeup & Smiles!! Great review and pictures! Sad it didn’t work on the waterline! Thank you so much hon!! !